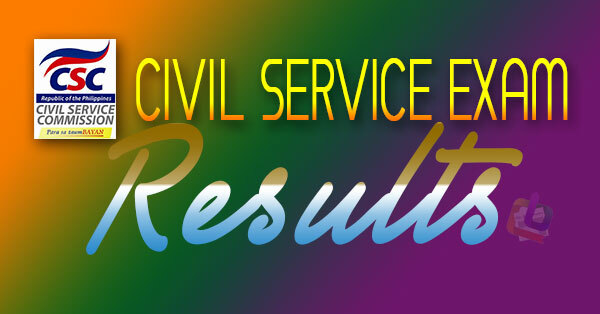 The Civil Service Commission (CSC) has released the results of the April 2016 Career Service Examination Paper-and-Pencil Test (CSE-PPT). Passing the test is a crucial step toward establishing a career in government, the Commission said, as successful examinees will be entitled to either the Professional or Sub-Professional eligibility, which is a basic requirement—together with education, experience, and training—for permanent appointment in the career service. As general ability tests, the three-hour Professional level examination covered vocabulary, grammar and correct usage, paragraph organization, reading comprehension, analogy, logic, and numerical reasoning. The Sub-Professional exam, which lasts for two and a half hours, covered the same subject areas except analogy and logic, and also includes questions on spelling and clerical operations, the CSC explained. General information questions about the Philippine Constitution, the Code of Conduct and Ethical Standards for Public Officials and Employees (R.A. 6713), peace and human rights issues and concepts, and environment management and protection were included in the exam. When the civil service exam results are available, the CSC is expected to release an advisory stating that passers may secure a Certificate of Eligibility from the regional office which has jurisdiction over the test center where they took the exam. Each regional office will then announce the date and procedure on how to claim a CoE. Passing rate for the civil service exam is 80.